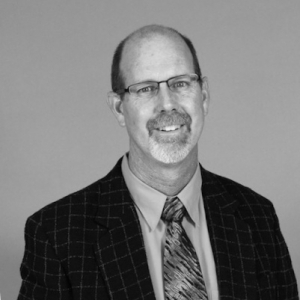 Mr. Rhodes has a career spanning over 37 years with PESCO, a privately held manufacturing company located in Farmington, New Mexico. Being an owner and in his 18th year of being the President/CEO, PESCO has grown to approximately 400 employees who manufacture equipment for the North American energy industry. Having a passion of providing opportunities for kids to succeed, Kyle coached youth sports for 26 straight years, including soccer, basketball and tennis. Continuing that passion, Kyle is in his eighth year of serving on the Farmington School Board, currently serving as President. He also serves on the NMSU Foundation Board. Past board positions include New Mexico Manufacturing Extension Partnership, Four Corners Economic Development Service and the Farmington Chamber of Commerce. Kyle is a member of the New Mexico Amigos, and continuously serves his local church. Kyle was honored in 2015 as Farmington Chamber of Commerce Citizen of the Year. Kyle received his BS in Mechanical Engineering from New Mexico State University in 1981. He is married to Gini Baxter (BS Consumer Sciences, ’79), they have five children and seven grandchildren.